Being makeup junkie means that you try to buy every other product which got raved. It is not a healthy habit off course but my passion to try these products and share my opinion with you is very important to me. 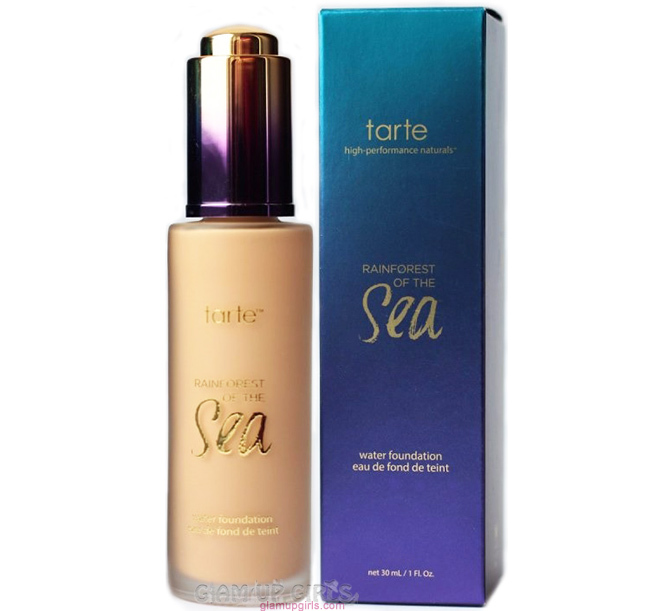 We have shared many budget friendly foundations and few high end foundations with you before and this blog was very much missing the one famous foundation by Tarte called Rainforest of the Sea Water. I have been using it for quite some time and today i think it is time to share my thoughts with you. 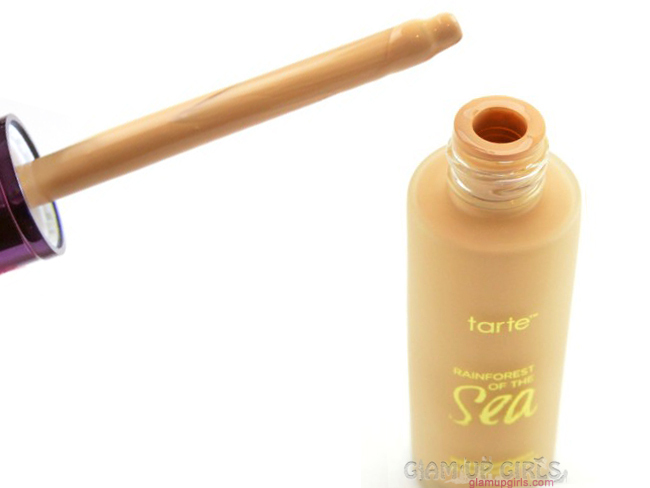 This foundation comes in frosted glass bottle with dropper to dispense out the product. Dropper can be filled by pressing small button on top of cap. I some how liked this packaging as it is hygienic and clean way but some times dropper can give you little tough time. The texture of this foundation is good enough to work with dropper which is not very thick or too thin. I picked the shade Light Neutral which is for light skin with neutral undertones. This formula works great with dense brushes like Sigma 3DHD MAX or Sigma F80 Flat Kabuki foundation brushes. However, you can simply apply it on face with fingers or flat foundation brush and blend it with sponge. Currently i am loving Sigma 3DHD blender sponge comparing to other ones. It is very pigmented and you need only 3 to 4 drops for full coverage. It blends in skin flawlessly and l loved how natural it looks on skin. You can get light to medium coverage or full coverage depending on your requirement. However if you have very dark spots to hide, you will still need to use concealer. As i have dry skin, i do feel the need of moisturizer beneath it. I think the oily skin will love this foundation. It is not very drying which i thought it would be as it is water based. If you have prepped your skin properly, this foundation can work wonders for all skin. It doesn't enhance dry patches or lines but in such cases it is better to buff the product into skin. It is quite long lasting as well. In hot weather of summers it does stay longer then 6 hours on face without breaking or looking uneven. I still recommend using good primer and setting powder to make it last longer. I have not noticed any discoloration or oxidization during wear. 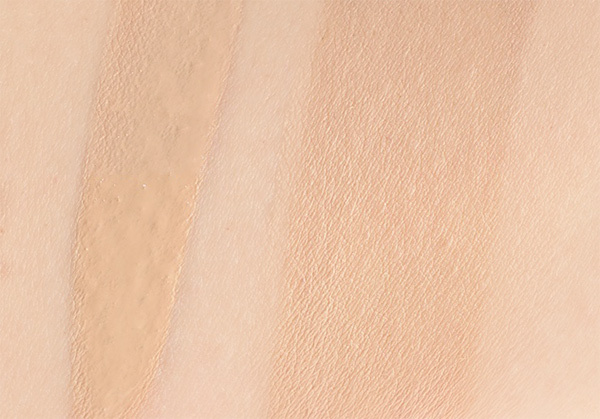 Overall i really loved this foundation, its coverage is flawless with medium to full. The lasting power is amazing as well with its light weight formula. In high end brands i think it is one of the very good formula which i definitely recommend to everyone.